Ephemeral messaging is huge right now with Snapchat leading the charge. Except “ephemeral” messages are more permanent than the name might suggest – charges were filed with the FTC against the photo messenger about this and a couple of other issues. A weakness in Snapchat’s system exposed personal info for 4.6 million of its users earlier this year and the developer’s attempt at fixing it didn’t go very well. It gets worse still, you don’t even need a third-party app. Snapchat stores photos and videos in its “sandbox” where other apps can’t touch it, but they are not encrypted so if you connect your phone to a PC, you can easily download them. The screenshot detection feature could also be easily circumvented on iOS prior to version 7. Additionally, the FTC alleges that Snapchat failed to verify that users were who they claim to be (easier to fake after the 4.6 million user data leak) and people can send and receive snaps to and from people claiming to be their friends, while actually communicating with malicious attackers and spammers. 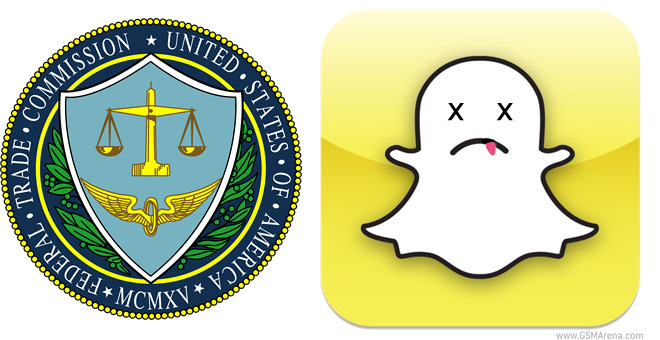 You can read Snapchat’s blog post about the settlement and FTC’s press release.